Why not make it a blast… literally? Start your bachelor party off right at Skirmish Paintball. A crazy adrenaline rush as well as a great excuse as to why you have those hickies (I mean welts) all over yourself the next day. Stay sober, let your best friends “light you up”, and actually remember the fun you had. Tell your best man to pick a date and invite all your friends. 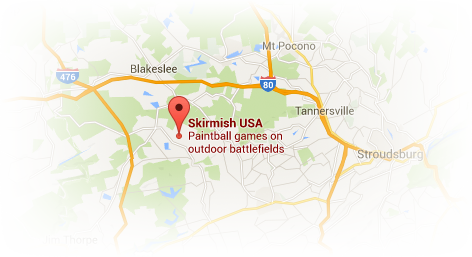 Call us at 1-800-SKIRMISH (1-800-754-7647) to make your Skirmish Paintball bachelor party reservation. If you’re still interested in ‘evening’ activities just tell your girl you played Skirmish Nights paintball. 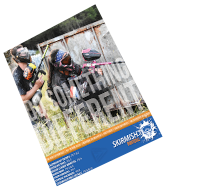 Questions about Skirmish Paintball? Click here for a list of FAQ’s to help you plan your trip. Please call 1-800-SKIRMISH (1-800-754-7647) to book your Skirmish Paintball bachelor party. There is a minimum of 10 people required for a bachelor party. Twenty people and pre-registration are required for private play. You MUST pre-register to have a bachelor party. Those that register game day can still play but will not receive the discounted rate or bachelor party benefits!